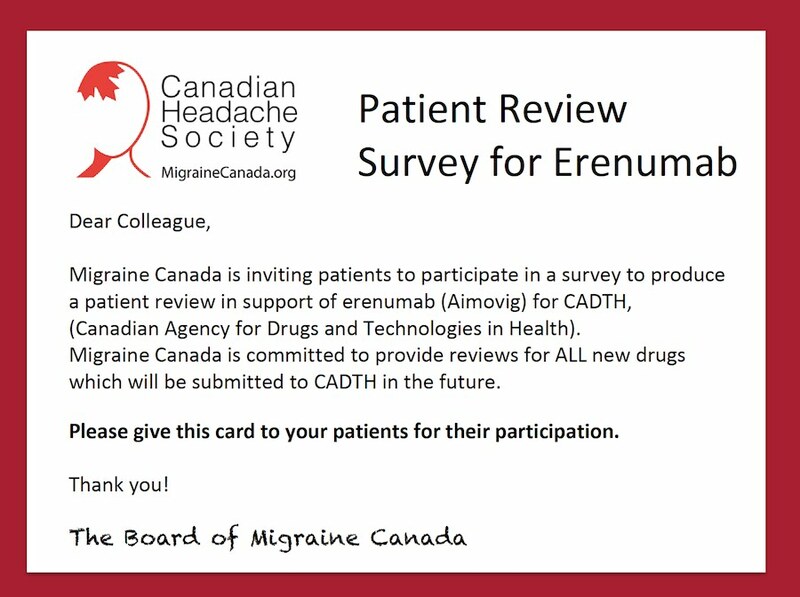 Migraine Canada is inviting patients to participate in a survey to produce a patient review in support of erenumab (Aimovig) for CADTH, (Canadian Agency for Drugs and Technologies in Health). 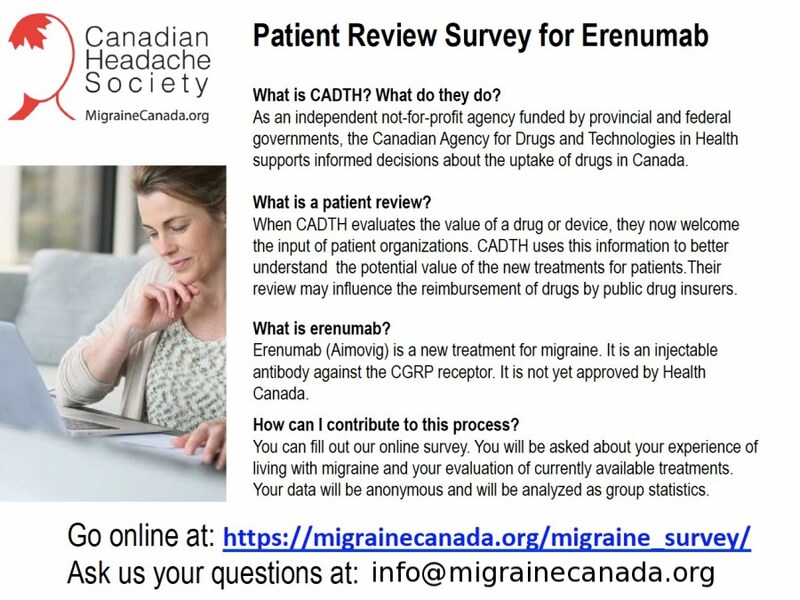 Migraine Canada is committed to provide reviews for ALL new drugs which will be submitted to CADTH in the future. Please give this card to your patients for their participation.